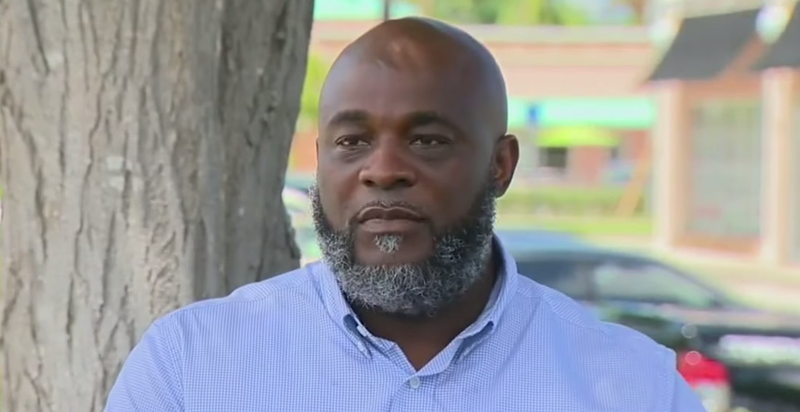 A North Miami therapist who was shot and wounded in the leg by police last week while trying to de-escalate a situation with his autistic patient said that he had a happy reunion Thursday with the young man, who is still hospitalized because of emotional trauma, CBS News reports. Charles Kinsey, who was released from the hospital late last week, is now walking with a cane and a noticeable limp, but he still wanted to see Arnaldo Rios. Kinsey told reporters that Rios jumped from his hospital bed and hugged him when he entered the room for their private meeting. "When he saw me, he jumped right up and he wanted to cry," Kinsey said. "He is looking well. He is doing really well, and he was very happy to see me," Kinsey added. "He gave me a real big hug, and I sat with him for about 10 to 15 minutes." Kinsey's story went viral after he was shot July 18 by a North Miami police officer while attempting to retrieve Rios, who had wandered from the group home where the young man lives and Kinsey works as a behavior technician. Rios had a toy truck in his hands. As officers approached the two men, Kinsey is shown in cellphone footage lying on the ground with his hands high in the air, trying to explain the situation to the officers. An officer, Jonathan Aledda, fired three shots anyway. Kinsey was struck once by a bullet that entered above his left knee, went through his thigh and exited near his waist, CBS notes. Aledda has since been placed on paid leave pending an investigation. John Rivera, the president of the Police Benevolent Association in Dade County, Fla., issued a statement shortly after the shooting saying that Aledda was aiming at the patient, who the officer thought was a threat, but missed and hit Kinsey instead. Police Cmdr. Emile Hollant was also disciplined: He was suspended without pay for allegedly fabricating information about the shooting, CBS News reports. The North Miami Police Department announced Wednesday that in light of the shooting, it will increase training for officers over the next 90 days on how to deal with people with autism and how to de-escalate confrontations. Kinsey said that he is happy that neither he nor Rios was killed in the incident, even though he was still traumatized by the encounter. "Mentally, this is disturbing. I play this in my head every day, and I can't sleep at night. Things could have went the other way. I am blessed that it didn't," Kinsey said. "I have a big family, and if I hadn't made it through, my whole family would have suffered."